Less than three months into its mission, NASA's Ice, Cloud and land Elevation Satellite-2, or ICESat-2, is already exceeding scientists' expectations, according to the space agency. 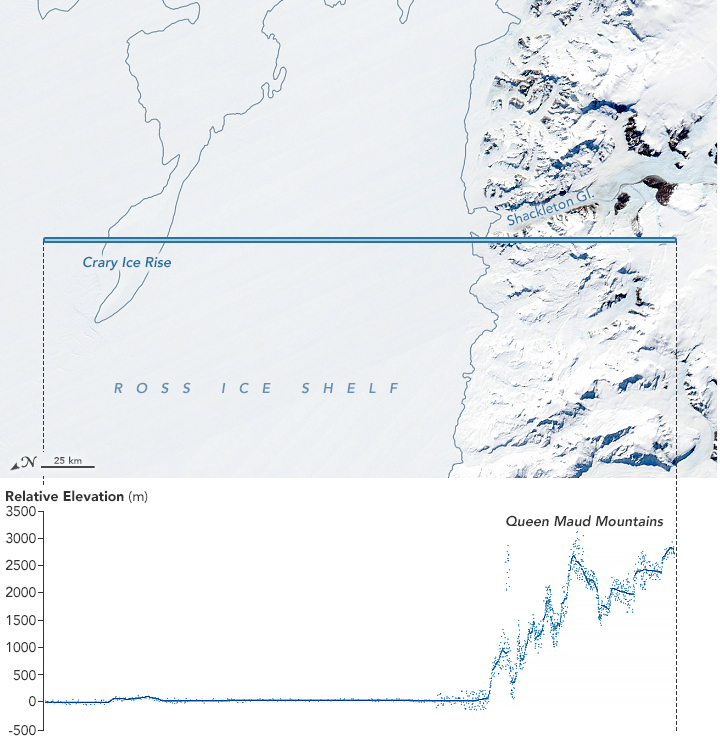 The satellite is measuring the height of sea ice to within an inch, tracing the terrain of previously unmapped Antarctic valleys and measuring other interesting features in our planet’s elevation. Benjamin Smith, a glaciologist with the University of Washington and member of the ICESat-2 science team, shared the first look at the satellite's performance at the American Geophysical Union's annual meeting Dec. 11 in Washington, D.C.
With each pass of the ICESat-2 satellite, the mission is adding to the data sets that track Earth's rapidly changing ice. Researchers are ready to use the information to study sea level rise resulting from melting ice sheets and glaciers, and to improve sea ice and climate forecasts. In topographic maps of the Transantarctic Mountains, which divide east and west Antarctica, there are places where other satellites cannot see, Smith said. Some instruments don't orbit that far south, while others only pick up large features or the highest points and so miss minor peaks and valleys. Since launching ICESat-2, in the past three months scientists have started to fill in those details. "It's spectacular terrain," Smith said. “We're able to measure slopes that are steeper than 45 degrees, and maybe even more, all through this mountain range." As ICESat-2 orbits over Antarctica, the photons reflect from the surface and show high ice plateaus, crevasses in the ice 65 feet (20 meters) deep, and the sharp edges of ice shelves dropping into the ocean. These first measurements can help fill in the gaps of Antarctic maps, Smith said, but the key science of the ICESat-2 mission is yet to come. As researchers refine knowledge of where the instrument is pointing, they can start to measure the rise or fall of ice sheets and glaciers. Early data suggest that Antarctica’s Dotson ice shelf has lost more than 390 feet (120 meters) in thickness since 2003, Smith told the Associated Press. "Very soon, we'll have measurements that we can compare to older measurements of surface elevation," Smith said. "And after the satellite's been up for a year, we'll start to be able to watch the ice sheets change over the seasons." Mission managers expect to release the data to the public in early 2019. The first ICESat satellite operated between 2003 and 2009. The more sophisticated ICESat-2 launched Sept. 15, 2018, from Vandenberg Air Force Base in California. Its laser instrument, called ATLAS (Advanced Topographic Laser Altimeter System), sends pulses of light to Earth. The instrument then times, to within a billionth of a second, how long it takes individual photons to return to the satellite. ATLAS has fired its laser more than 50 billion times since going live Sept. 30, and all the metrics from the instrument show it is working as it should, NASA scientists say. IceBridge, an aircraft-based NASA campaign, operated between the two satellite missions. For more information, contact Smith at besmith@uw.edu or 206-616-9176. Adapted from a NASA feature article. A newly discovered species of whale -- found preserved in ancient rock on the Oregon coast -- has been named for a University of Washington paleontologist. 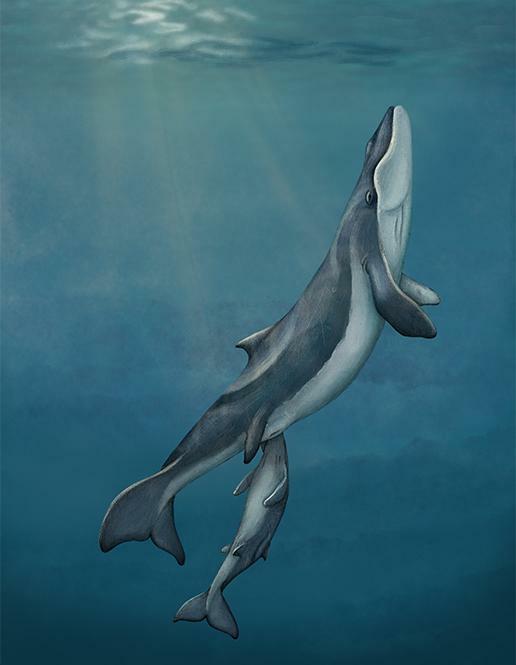 The genus portion of the name combines “balaena,” the Latin word for whale, and “maia” meaning mother, because this species, that had neither teeth nor baleen, is the intermediate stage between modern, filter-feeding baleen whales and their toothed whale ancestors. The Smithsonian paleontologists concluded that this whale used suction to pull fish or squid into its mouth. 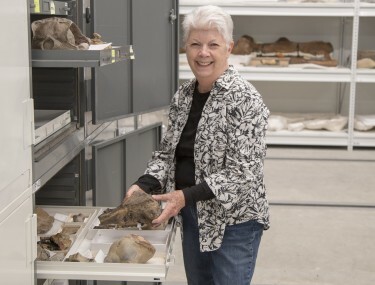 While Nesbitt’s research is mostly on smaller fossils of marine animals without backbones, she was instrumental in figuring out the age of Washington and Oregon rocks that the marine mammal fossils are found in. In January, Nesbitt published a paper about the ages of the geologic units in Washington and Oregon that are younger than 50 million years old. “I use the fossils, mostly different types of clams and snails, to tell geologic time,” Nesbitt said. “Any one species, or any group of species of fossil, lives for a certain period of time. Then when they die, they’re gone. You’re never going to see those guys again, thus each group characterizes a geologic time span,” Nesbitt said. She compares the fossil assemblages from the Pacific Northwest with those in other parts of the world to pin down dates. Dating rocks is especially tricky in the Pacific Northwest, she said, which is isolated from other land masses and geologically complex. “If you go to the Gulf Coast, everything’s in nice layers. Here, because of plate tectonics, because of the Olympics and the Cascades, everything is tilted, folded and out of sequence. And the other problem in the western Pacific Northwest is dense vegetation covering the rock outcrops. So the dating is much more complicated here than other places in the world,” Nesbitt said. Another challenge in the dating for the new species, she added, was the rock samples attached to the fossil were just small slivers. The fossil of the M. nesbittae had been collected in Oregon in the 1970s and sent to the Smithsonian. It wasn’t until lead author Carlos Mauricio Peredo, a doctoral student at George Mason University and predoctoral fellow at the Smithsonian, was investigating very early marine mammals that he realized this specimen’s potential evolutionary importance, Nesbitt said. The M. nesbittae was likely the size of a dolphin. Researchers do not know how widely it roamed. It just happens that the Pacific Northwest is one of the best places in the world -- along with Japan and New Zealand -- to find fossils of whales. “First of all, we have the rocks of the right age, from around the 30-million-year-old time period in which there was an absolute explosion of whales of different types,” Nesbitt said. Over the course of her career, Nesbitt has explored almost every part of the coast in Washington and Oregon. At this point in her career, she does less fieldwork, since many of the fossils are found on steep cliff faces. But she recently collected whale fossils on Vancouver Island with Nicholas Pyenson, an affiliate curator at the Burke Museum and a co-author on the Current Biology paper. Nesbitt is also involved in an ongoing project with the Washington Department of Ecology studying modern-day marine microorganisms, from the mid-1990s to today, to learn about changes in Puget Sound ecology. Nesbitt encourages people in the Seattle area to explore the fossil whales on display at the Burke Museum, many of which were collected by Burke research associate James Goedert and prepared by staff member Bruce Crowley. As for the new whale, the authors write that “the specific epithet nesbittae honors Dr. Elizabeth Nesbitt, for her lifetime of contribution to the paleontology of the Pacific Northwest and her mentorship and collegiality at the Burke Museum of Natural History and Culture." For more information, contact Nesbitt at lnesbitt@uw.edu or 206-543-5949. NASA plans to launch a new satellite this month that will measure elevation changes on Earth with unprecedented detail. Once in the air, it will track shifts in the height of polar ice, mountain glaciers and even forest cover around the planet. 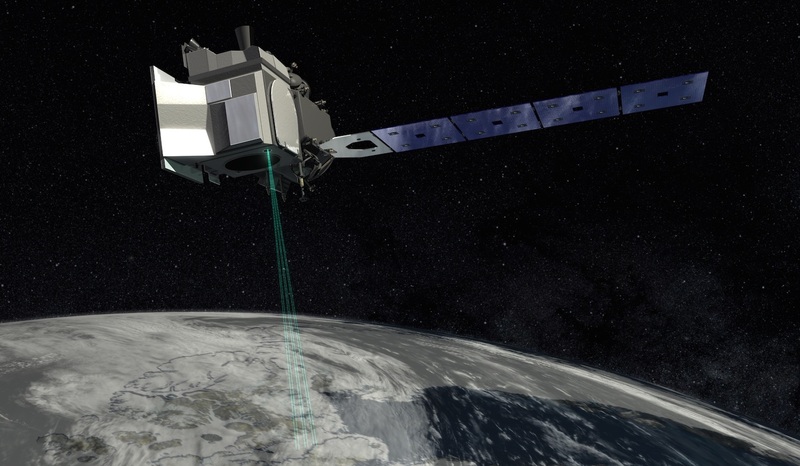 Two University of Washington polar scientists are advising the ICESat-2 mission scheduled to launch Sept. 15 from California’s Vandenberg Air Force Base. UW researchers provided expertise in two areas of intense interest for long-term tracking: massive glaciers covering Antarctica and Greenland, and sea surface height in the Arctic and other oceans. If you’re up early Saturday morning, you can watch the launch live during a 40-minute window starting at 5:46 a.m. PDT. Or watch a video of what the deployment will look like. Read more about ICESat-2 from NASA. 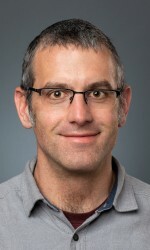 Smith is a member of the science definition team and the lead author of the document that describes the data that ICESat-2 will provide for ice that covers land. “My specific role is to work out how to turn the raw data that NASA generates -- which track the location of individual photons -- into the answer we want to give the scientific community, which is how high the ice sheet surface is at a particular point,” Smith said. The instrument, whose full name is the Ice, Cloud, and Land Elevation Satellite, succeeds the original ICESat-1 satellite that operated from 2003 to 2009. Since then NASA has been running annual IceBridge flights to collect data over a few important parts of Antarctica and Greenland during the gap. The new satellite will provide nonstop, higher-resolution data for the Earth sciences community starting this October, one month after it launches. “For me, the most exciting aspect of ICESat-2 is its extremely fine resolution,” said Jamie Morison, a polar oceanographer and former leader of the North Pole Environmental Observatory. The new satellite uses six laser beams to get readings every 2-3 feet, each one focused over a 30-foot patch of the surface. For comparison, Morison said, today’s instruments measure surface elevation by averaging over many hundreds of feet to miles between each data point. The new instrument’s orbit is designed to collect more data over the poles, and it can detect very small elevation changes over long timescales. 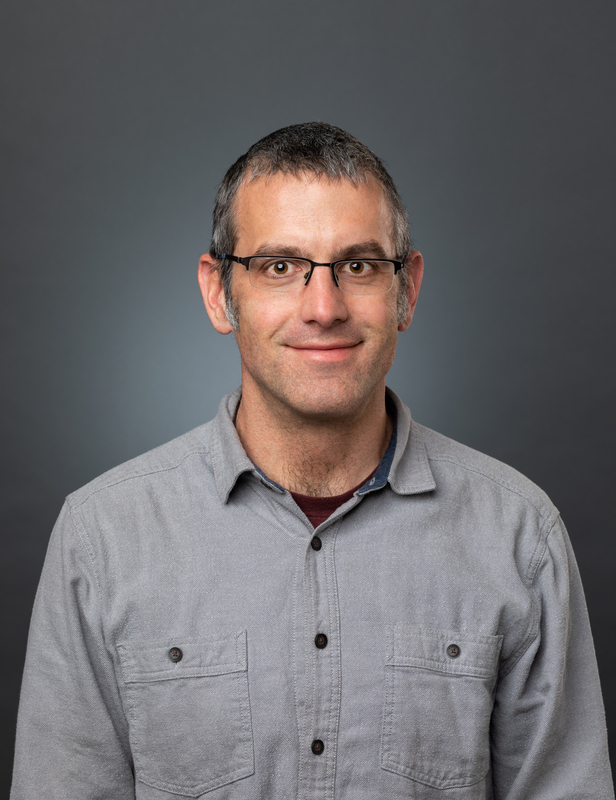 Morison is a physical oceanographer on the science definition team, and lead author the document that describes ICESat-2 data for the open oceans. The two UW researchers were members of a 12-person science team that consulted on the project over the years leading up to the launch. They also are among the hundreds of scientists who anticipate using the data in their research. For more information, contact Smith at besmith@uw.edu or 206-616-9176 and Morison at jhm2@uw.edu or 206-543-1394. More ICESat-2 multimedia is here. They will be available in Seattle until Thursday, Sept. 13, when they will travel to California for Saturday’s anticipated launch.